We are writing to say a heartfelt “thank you” to Ahavas Chesed and your team of wonderful volunteers for all the extraordinary assistance you have given our family. You went above and beyond in your efforts to help us during this traumatic time. 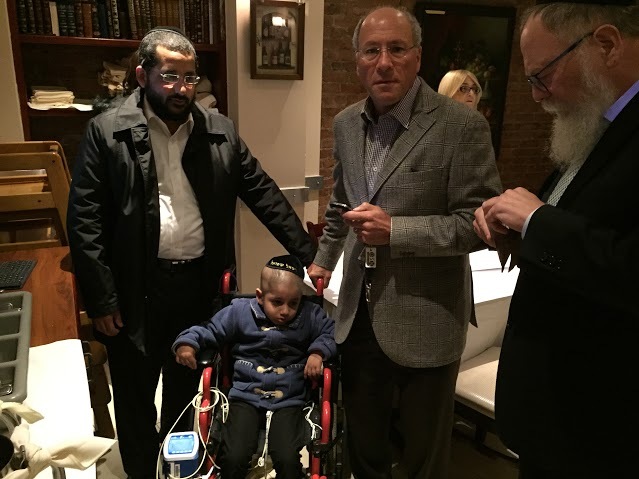 Out beloved little boym Raphael Shmuel, was diagnosed with brain stem cancer a few months ago. After being treated at Hadassah Hospital, on the advice of expert medical opinion, he had to come to America to receive specialized treatment for his condition. While 5-year old Raphael Shmuel’s hospital expenses are being covered by Israeli health insurance, our family had other huge expenses. We had to close our dry cleaning business in Israel, which was our whole livelihood, so we could come to America to take care of Raphael Shmuel. Sadly, we had to leave our other two small children behind. We took out loans to come to the US. We contacted Ahavas Chesed, and you immediately started working to help us. You found us an apartment near the special hospital in New Jersey where our little boy was being treated, and you personally came to meet with us and spend time with us. You continuously tried every avenue to raise funds for our massive expenses. We needed money for a year in America, to cover rent, food, transportation, and all the living expenses. Also, Raphael Shmuel had many medical expenses that were not covered by the insurance, such as his special nutrition and feeding tubes, and other general expenses. You saw to it that every need we had was taken care of, and you gave us such personal attention. You took our little boy to the zoo, to a Chanukah concert, you paid for new tzitzis for him, you bought him toy tefilin – to his extreme delight – and you paid for toys and games for him. You personally invited us many times for Shabbos. We can hardly believe your kindness and generosity to our family. Thanks to the effort of Ahavas Chesed and your volunteers, our little boy has been able to receive lifesaving treatment. We especially would like to thanks the Silver family, who opened their house to us every Shabbos. 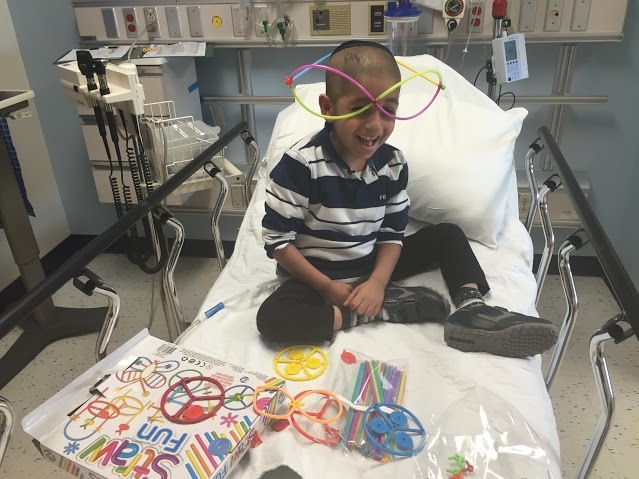 Shmuel is responding well to treatment, and he is starting to look happy again. His Hebrew name is Raphael Shmuel ben Orit, may he have a refuah shleimah. Thank you, Ahavas Chesed, from the bottom of our hearts.